Wayanad is actually covered with beautiful thick forest. The word Wayanad means the land of Paddy fields. It is in Wayanad where we can find the large population of tribal people. Wayanad is famous for its climate and also cultivation like tea, coffee, spice plantation etc. 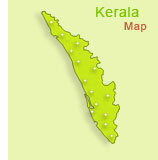 Wayanad looks so beautiful because of its 'greenerya' covering most of the places. In ancient times the land was ruled by the Vedar Rajas. Later Wayanad came under the rule of Pazhassi Raja of Kottayam-Kurumbranadu Royal Dynasty of Kannur. The modern history of the district is associated with the events that took place during the Mysorean invasion and the long spell of the British rule stretching over a period of about two centuries. There was fierce encounter between the British and Pazhassi Rajah. When the state of Kerala came into being in 1956, Wayanad was a part of Cannannore district; later in 1957 south Wayanad was added to Kozhikode district and north Wayanad remained with Cannannore district. By amalgamating the north Wayanad and south Wayanad, the present Wayanad district came into being on the 1st November 1980 comprising of three taluks; Vythiry, Mananthavady and Sulthan Bathery. Area : 2132 sq km. Altitude : 700 - 2100 m Above Sea Level. Mananthavady Mananthavady is a small town on the banks of the river Kabani in the Wayanad district of Kerala, India. The tomb of Pazhassi Raja is found here. Adivasi Gothra Mahasabha has its headquarters here.The District Hospital in Mananthavady is the only major treatment facility for the service of the tribal communities and other less previleged sections of Wayanad. It is also the headquarters of the NGO Wayanad Social Service Society, established in 1974 for the development of Agriculture & Animal Husbandry, Community Health, Co-operative Credit Unions, Women’s Development, Skills Development (vocational), Housing etc. Kuruvadweep (17 km east of Mananthavady 145 km north of Sulthan Bathery) This 950 acre, uninhabited island on the eastward bound Kabani River is an ideal picnic spot. The wooded stretch of land is home to rare species of birds, orchids and herbs. Thirunelly Temple ( 32 km northeast of Mananthavady) Surrounded by Kambala, Karimala and Varadiga, the Thirunelly Temple is a marvel of temple architecture. The shrine is shielded with 30 granite columns and the ground is paved with huge square pieces of granite. The crystal clear waters of the Papanasini River running downhill add to the enchantment of the place. Pazhassi tomb (32 km northeast of Kalpetta) The memorial of the 'Lion of Kerala' - Veera Pazhassi Raja - who organised the guerilla warfare against the British East India Company, is situated at Mananthavady. The Pulpally cave is where Pazhassi took refuge until he was captured by the British. Glass Temple of Kottamunda (20 km away from Kalpetta) This temple is located on the slope of Vellarimala and is dedicated to Parswanatha Swamy of the Jain faith. The mirrors inside the temple walls reflect images of the icons in the temple's sanctum sanctorum. Boys town (15 km north of Mananthavady) Herbal garden, nature care centre, sericulture unit, perma-culture centre etc., established by the Wayanad Social Service Society and Jean Park (the Indo-Danish project for promoting herbal gardening) are situated here. Pakshipathalam (10 km from Thirunelly) This place can be accessed only by trekking. Rare species of birds can be sighted from the watch tower of this bird sanctuary. Kalpetta is the headquaters of Wayanad district in the state of Kerala in India. 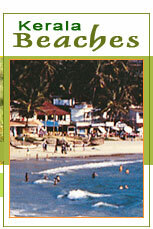 It is a small town surrounded with mountains, tea gardens and coffee plantations. The town is a major hub to all the tourist destinations in Wayanad. Chembra peak (14 km west of Kalpetta) At 2100 m above mean sea level, Chembra is the highest peak in Wayanad and is an ideal are for trekking. Banasura Project, Padinjarathara (25 km northeast of Kalpetta) A mini hydel project with the largest earth dam in India and the second largest in Asia is being built here. A sprawling sanctuary and park with ever flowering trees are major tourist attractions. Begur Wildlife Sanctuary (20 km east of Mananthavady) This sanctuary has a wide variety of animals. Nagarhole Wildlife Sanctuary (40 km east of Mananthavady) This sanctuary in Karnataka state extends over an area of 643.39 sq kms. The park houses diverse species of plant and animal life. Sulthan Bathery Sulthan Bathery is a small town in Wayanad, India. The town has seen exponential growth since the 1980's. The town has quite a few pepper traders. The town is 24 kilometers from the district headquarters Kalpetta. Edakkal Caves (12 km from Sulthan Bathery) The two caves are located at a height of 1000 m on Ambukutty Mala near Ambalavayal. The New Stone Age pictorial writings on the walls of these natural caves at Edakkal are evidence of the civilization that existed in these regions in prehistoric times. The caves can be accessed only by a 1 km trekking trail from Edakkal. Morning hours are the best time to visit the caves. Entry is permitted only up to 1700 hrs. Wayanad Wildlife Sanctuary Established in 1973, the Wayanad Wildlife Sanctuary is contiguous to the protected area network of Nagarhole and Bandipur of Karnataka on the northeast and Mudumalai of Tamil Nadu on the southeast. Rich in bio-diversity, the sanctuary is an integral part of the Nilgiri Biosphere Reserve, which has been established with the specific objective of conserving the biological heritage of the region. The sanctuary is very rich in flora and fauna. The management lays emphasis on scientific conservation with due consideration for the general lifestyle of the tribal and others who live in and around the forest region. Permitting authority Wildlife Warden, Muthanga Wildlife Sanctuary, Sulthan Bathery. Lakkidi (55 km east of Kozhikode/5 km south of Vythiri) Lakkidi, the gateway to Wayanad, is situated 700 m above mean sea level, at the crest of the Thamarasseri Ghat pass. Lofty peaks, gurgling steams and luxuriant forests add magic to the journey up the winding roads to this hill station. Pookot Lake This perennial fresh water lake, nestled among wooded hills, is the only one of its kind in Kerala. Boating facilities, a children's park, a handicrafts and spices emporium and a fresh water aquarium are among the tourist facilities available here. Ambalavayal Heritage Museum Near the Ambukuthi hill region is this heritage museum housing artifacts and belongings of the various tribes of the land. This is one of the best heritage museums in Kerala. Kanthanpara Waterfall: 6 km east of Mepadi. Meenmutty Waterfall: 12 km east of Meppadi. Chethalayam Waterfall: 12 km from Sulthan Bathery. Sentinel rock waterfall: 12 km southeast of Meppadi. Jain Temple at Sulthan Bathery. Puliyarmala Jain Temple: 4 km north of Kalpetta. Panamaram Jain Temple: 29 km from Sulthan Bathery. Pallikkunnu Chuch: 12 km north of Kalpetta. Kallianathum Pallickal Mosque: 10 km southwest of Mananthavady. Ambalavayal Agricultual Research Station: 15 km south of Sulthan Bathery. Air : Nearest Airport : Kozhikode. Road : Well connected by roads from Kozhikode, Kannur, Ooty (175 km from Kalpetta ) and Mysore ( 140 km from Kalpetta).